Chromatic aberration is a common defect in injection molding. It is not uncommon that the color difference of the matching parts causes the rejection of the injection molding machine in batches. There are many factors affecting chromatic aberration, including resin, masterbatch, masterbatch mixing with raw materials, injection molding process, injection molding machine, mold and so on. Because of the wide range involved, chromatic aberration control technology is also recognized as one of the more difficult technologies to master in injection molding. In the actual production process, we usually proceed from the following five aspects to control the color difference. eliminate the influence of injection molding machine and mold factors. To select the injection molding machine with the same capacity as the main product of injection molding, if the injection molding machine material dead angle and other problems, it is best to replace equipment. For the color difference caused by the mold pouring system and the exhaust groove, it can be solved by the corresponding part of the mold maintenance mold. We must first solve the problem of injection molding machine and mold before organizing production so as to reduce the complexity of the problem. eliminate the influence of resin and color masterbatch. Controlling the raw materials is the key to solve the chromatic aberration completely. Therefore, especially in the production of light-colored products, we can not ignore the different thermal stability of raw resin on the product color fluctuation caused by the obvious impact. 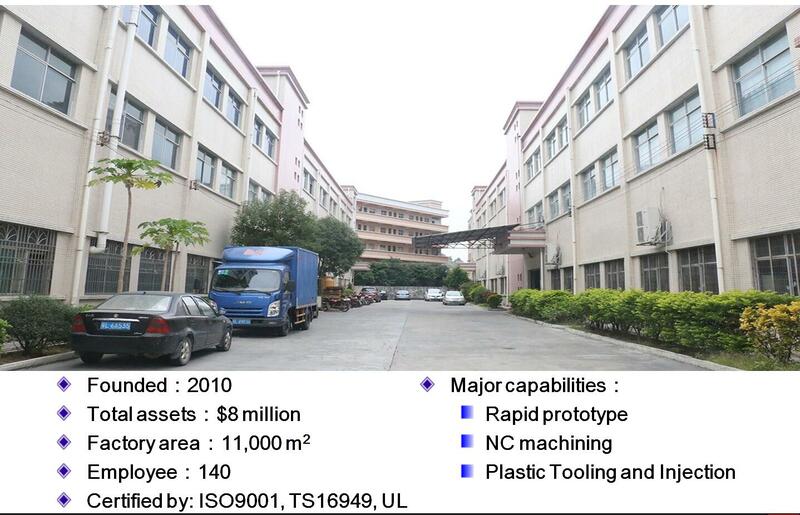 Since most injection molding manufacturers do not produce plastic masterbatches or color masterbatches themselves, attention can be focused on production management and raw material inspection. That is to strengthen the inspection of raw materials warehousing. The same product is produced with the same manufacturer, the same brand master batch and master batch as far as possible; for master batch, we must carry out spot check and color test before mass production, both with the previous proofreading, but also in this comparison, if the color difference is not big, can be considered qualified, as batch master batch has slight color difference, can be heavy color master. The new mixture is then used to reduce the chromatic aberration caused by uneven mixing of the color master. At the same time, we also need to focus on testing the thermal stability of raw resins, masterbatches, for poor thermal stability, we suggest manufacturers to change. eliminate the influence of uneven blending of masterbatch and masterbatch. Mixing the plastic masterbatch with the color masterbatch will also make the product color changeable. When masterbatch and masterbatch are mechanically mixed evenly and fed into hopper through downdraft material, the masterbatch is easily adsorbed on the hopper wall because of static electricity. This will inevitably cause the change of masterbatch amount in injection molding cycle, resulting in chromatic aberration. This situation can be solved by raw material inhalation after hopper and manual agitation. Many companies now use feeders to add color masterbatch, which saves a lot of manpower and provides a great help for color difference control, but many companies because of improper use, the results are often unsatisfactory. The amount of Color Masterbatch added to the feeder at a fixed speed depends on the plasticizing time, and the plasticizing time itself is fluctuating, sometimes fluctuating or even relatively large, so to ensure a constant amount of feeding, feeder feeding time should be fixed, and the setting time is less than the minimum plasticizing time. When using the feeder, it should be noted that the outlet of the feeder is small. After a period of use, it may cause inaccurate feeding and even cause the feeder to stop running. Therefore, regular cleaning is necessary. reduce the influence of barrel temperature on chromatic aberration. In production, it is often encountered that the temperature of the barrel changes dramatically due to the damage and failure of a heating ring or the out-of-control of the heating control part. It is easy to judge the color difference caused by this kind of reasons. Generally, the color difference caused by the failure of the heating ring will be accompanied by the non-uniform plasticization phenomenon. The out-of-control long-burning of the heating control part is often accompanied by the product gas spot, serious discoloration and even coking phenomenon. Therefore, it is necessary to inspect the heating part frequently in production and replace the heating part timely when it is found that the heating part is damaged or out of control so as to reduce the probability of such color difference. reduce the impact of injection molding process adjustment. The injection temperature, back pressure, injection period and the amount of chromophore should not be changed as much as possible when the injection process parameters are adjusted for non-chromophore reasons. As far as possible to avoid the use of high injection speed, high back pressure and other strong shear effect caused by injection molding process, to prevent local overheating or thermal decomposition and other factors caused by color difference. Strictly control the temperature of each heating section of the barrel, especially the nozzle and the heating part close to the nozzle. PVC material is amorphism material, usually when injection molding the PVC material, it will also add stabilizer, lubricant, antiimpact agent and others. PVC material is with low flammability, high strength .PVC material Chemical and physical prosperity: PVC is the most extensive used plastic material. Why Injection Mold Need to Be Tested?